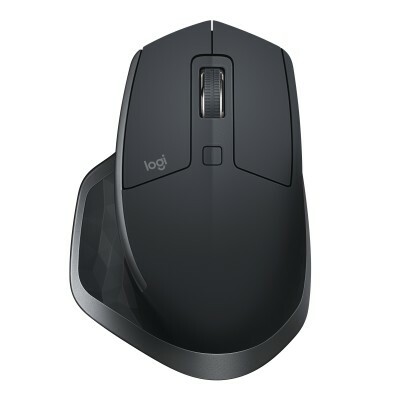 Logitechâ€™s flagship mouse is designed for masters of productivity who want to get more done, more efficiently. Amongst a number of advanced features, MX Master 2S offers Logitech Flow for seamless cross-computer control, advanced scrolling, high precision tracking on all surfaces and a stunning design. Optimized for WindowsÂ® and Mac. Gone are the days when working across several computers meant sending yourself cumbersome emails with attachments or tediously copying files on a flash drive. With Logitech Flow, you move your mouse cursor across three computers and even copy/paste text, images and files from one computer to the other. A premium mouse deserves the best quality tracking. Thatâ€™s why we designed the MX Anywhere 2S with a brand new, 4000 DPI precision sensor that can track everywhere â€“ even on a sleek boardroom glass table. The quick-recharging battery means MX Master 2S is ready when you are. Get enough power for a full day of work in only 3 minutes, with no down time while recharging. A full charge can last up to 70 days. To recharge, just plug the mouse into your computer using the micro-USB charging cable and continue using it while it charges. A flick of the scroll wheel sends you speeding through long documents or web pages. When you need more precision, the wheel auto-shifts to click-to-click scrolling. A stroke of the thumb wheel and youâ€™re scrolling side-to-side. Download Logitech Optionsâ„¢ software to customize those experiences. The perfectly sculpted, hand-crafted shape of this comfort mouse supports your hand and wrist for hours on end in a comfortable, natural position. Experience fine-motion control and fluid experience with well-positioned buttons and wheels.